What is a One Name Study? Ever wondered about the origins of a particular surname? 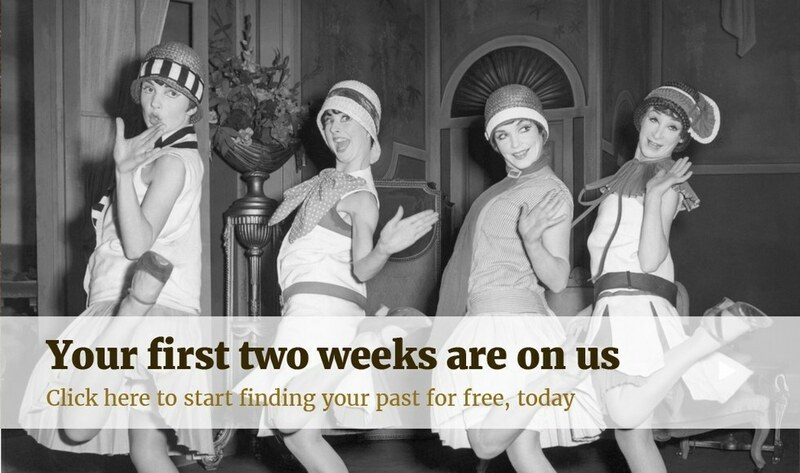 Genealogists typically focus the majority of their time researching their own families looking for the next connection, clue, or breakthrough in the journey to understanding where they came from. However, not all genealogists focus all their efforts on their own family tree, but instead devote their time to a one-name, or surname, study. A one-name study is a study of a singular surname in the records without following a particular pedigree. These studies focus on collecting data on a singular name, to help others make connections and trace a name throughout history. A one-name study might focus on name origins with the hope of finding the original origins of a name, meanings of a name, variants of a surname, frequency of a surname, while other one-name studies might focus primarily on geography, distribution, or tracking the movement of a name. One-name studies consist of recording all occurrences of the single surname past or present, often throughout the world, which is no easy feat! A one-name study is a great place to look if you hit a brick wall in your family history research. Searching through the data of a one-name study could help you find and trace connections between your records and the records of someone else, or could help you pinpoint events in your family's timeline. One-name studies are another great resource to sift through and break down those walls. The Guild of One-Name Studies has a collection of one-name studies that you can easily check to see if your surname is registered. Surnames are registered by their primary spellings, in addition to their variant spellings. Variant spellings; however, do not include incorrect spellings. Misspelt surnames due to clerical errors should not be registered. Variant spellings include all the varieties of the surnames still found today, so keep this in mind when researching databases for one-name studies! 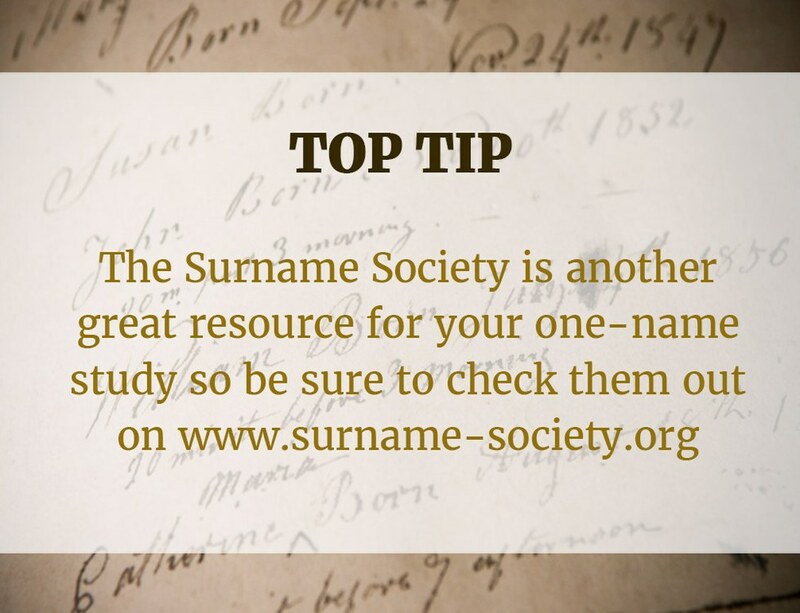 If your surname is registered, the site provides helpful information about the current study in addition to the contact information to the researcher in charge of the one-name study, so you can reach out for help, and in return, help contribute to their study! Some studies are even published on public websites providing you with another set of data. When reaching out to individuals managing the one-name studies, be sure to provide as much detail on the surname you're looking for as possible including locations, dates, and variations of the name to make it easier to track down your connection.